Penn Manor students can shift their reading interests into OverDrive, thanks to a new service that provides access to 800 electronic books via students’ cellphones, tablets, laptops and other electronic devices. Penn Manor School District is participating in OverDrive, a new e-book program administered by Lancaster-Lebanon Intermediate Unit 13 at no charge to school districts. Students log onto the OverDrive (www.overdrive.com) website or download the OverDrive app, click on the Penn Manor High School library collection and sign in using their student identification number. 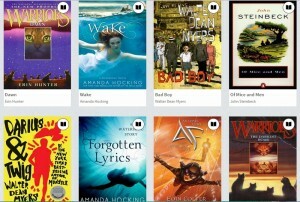 From there, they can select books by grade range, title or author and check out up to three titles once. The books will remain on their laptop, cellphone or tablet for two weeks before they “expire.” If a book is “taken out” by another reader, students can place a hold on the title, and OverDrive will notify them via email when the book becomes available. Students who use OverDrive also have access to Lancaster County Public Library’s e-book collection, provided they have a valid library card. OverDrive is not designed to replace Penn Manor’s print library collections, but to enhance them, said Jeff Taylor, high school librarian. Many of the OverDrive titles, selected by a panel of local school librarians, are contemporary young-adult fiction, Taylor said. The district also has a $500 stipend to purchase more books for Penn Manor’s online catalogue, depending on demand from students. Each new e-book costs about $15 to $80, Taylor said. Any student currently enrolled in a Penn Manor school is eligible to participate in the OverDrive program. For more information, contact Jeff Taylor at jeff.taylor@pennmanor.net. 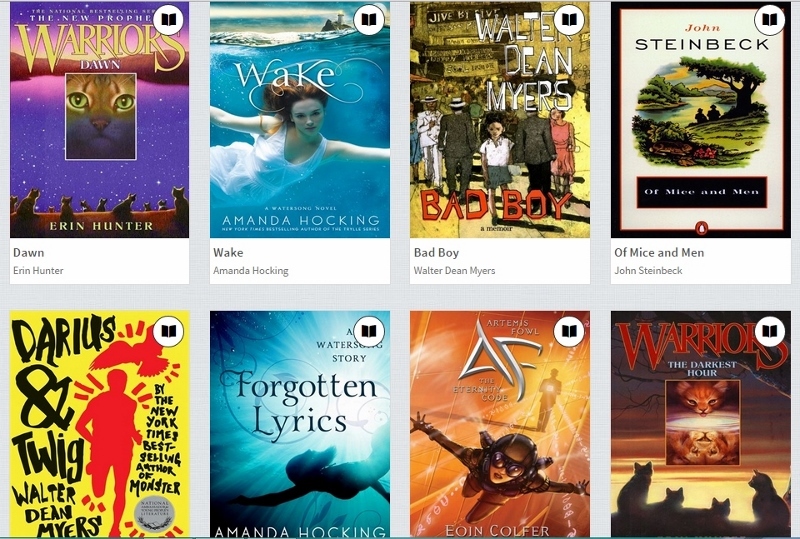 Some of the selections available to Penn Manor students via OverDrive.